Armor Anywhere: Making Cloud Security Simple. Anytime. Anywhere. 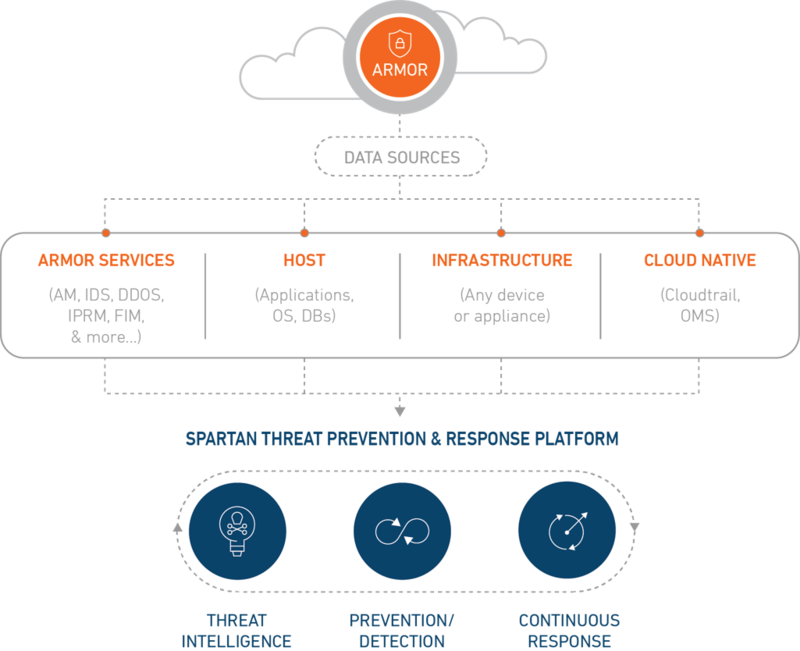 Armor Anywhere is a managed SECaaS platform. It strengthens and unifies your on-premise, public, private, and hybrid cloud environments. Armor makes security simple for our clients by managing the day-to-day issues of running a cybersecurity team and all the technology and tools they need to be effective. The Armor Anywhere agent will prepare your IT infrastructure for any attacks through security defenses that enable you to prevent, detect, and respond to cyberthreats in real-time—at a fraction of the cost of traditional solutions. Armor Anywhere not only provides cost savings, but it saves time as well. In under two minutes you can be protected by the Armor suite of technology tools and security controls—backed by a security operations center (SOC) that keeps watch over your systems 24/7/365. The people of the Armor SOC have years of experience in cybersecurity, many trained and entrusted to protect government and civilian data, workloads, and security. The Threat Resistance Unit (TRU), a part of the SOC, is our internal threat hunting team that seeks cyberthreats inside and out of Armor’s cloud infrastructure and its clients’ other IT environments. Working closely with outside groups they help end virus and malware epidemics; create signatures and countermeasures, applying them cross-platform; and help Armor clients, the cybersecurity community, and ultimately anyone who uses the internet (basically, the world). Armor Anywhere delivers a managed security-as-a-service that fortifies and unifies your on-premise, cloud and hybrid IT security defenses. Unified protection and visibility—Armor Anywhere provides cybersecurity management through our threat prevention and response platform, which is powered by our experts in the Armor SOC, including the Threat Resistance Unit team. Keep track of your security measures and countermeasures, view analytics, and run reports through the Armor management portal (AMP), which offers single-pane-of-glass visibility across all your architectures, whether on-premise or in the cloud. Continuous Detection and Response—The SOC teams work together to ensure our database is continuously updated with the latest cyberthreats—viruses, malware, phishing scams, cryptojacking and mining software, etc.—regularly improving our white- and blacklists, as well as providing end-to-end prevention, detection, and response services to our clients. We don’t just alert you to a problem—we stick with you to the end. Our SOC and Threat Resistance Unit ensure your environment is free of invaders by eradicating existing ones, while implementing countermeasures to defend against future attacks. Swift and Scalable Deployment—Once the Armor Anywhere agent is deployed, your environment is fully protected in under two minutes. Armor Anywhere is designed to protect your on-premise IT environment, as well as any workloads stored in public, private, and hybrid cloud environments. Armor Anywhere: What does it do? With visibility to inbound and outbound activity at the host, Armor inspects anomalous traffic against predefined policies – detecting attacks like generic SQL injections, generic XSS attacks, DoS and generic web app effects. This service provides an agent-based Intrusion Detection System on the installed host for network traffic analysis and reporting based around policies defined by Armor. FIM is designed to monitor critical system file locations and alert you when your files have changed. It also monitors critical operating system (OS) files for changes that may allow threat actors to control your environment. FIM uses OS-specific policies and provides Armor with log visibility to assist in reviewing security events. Armor scans for potential points of risk to help reduce the surface area of attack. Weekly scheduled scans provide you a visible audit report to identify the vulnerabilities that attackers could use to penetrate your network, so you can develop your remediation plan. Patch Monitoring provides visibility into your environment to identify critical OS-level patches for resolution. Armor provides visibility into your environment running the Armor Anywhere agent, so you can ensure your OS is consistently up to date. Armor protects your environment from harmful malware and botnets deployed to capture your data, monitor your activity or leverage your servers for illicit activity. In the event an alert is created, Armor’s threat analysts begin an in-depth investigation. Armor uses an enterprise-class malware protection application and deploys the application agent within the Armor Anywhere agent. Log Management captures and documents, analyzes and reports on log events from firewalls, servers, OS logs, and other applications to determine their validity and severity. Customers can view 30 days of logs in AMP and store up to 13 months of log events consistent with applicable regulatory requirements. Proactive hunting within our data lake identifies threat actor activity not alerted to by our SIEM leveraging the research and expertise of Armor’s Threat Resistance Unit team as well as threat intelligence derived from a variety of sources. Monitors public and deep and dark webs for threat activity against our Armor customer base using a mix of automation and targeted threat research. Shared responsibility is key to ensuring your cloud workloads are protected from cybercriminals and their attacks. Listen to me now and hear me later (or listen now and hear me now and later—just make sure you hear me) this is incredibly important: You cannot rely solely on your cloud providers’ (i.e., Amazon Web Services (AWS), Microsoft Azure, Google Cloud Platform) native security controls. All public cloud providers operate under the shared responsibility model, which means that you are responsible for supplementing the providers’ cloud native security controls with a layer of external security controls. We are highlighting this because a recent social media poll we conducted, #ArmorU, showed an alarming number of respondents 47% were woefully uninformed about shared responsibility and, therefore, leaving themselves vulnerable to potential breaches and data theft. Don’t panic! Just pick up the phone and call us, hop on our chat program, send an email—we even accept post by carrier pigeon (just like Mike Tyson). Armor Anywhere provides the additional layer of security each cloud providers’ shared responsibility model requires (and then some), while simplifying cloud deployments and security control management. We even ensure you have access to the SOC 24/7/365—real people—who move past alerting to help you contain and remediate any threat actors in your environment or attempting to breach your defenses. Armor Anywhere makes it easy to balance security, cost-effectiveness and cloud accessibility. Each cloud provider has different requirements regarding the shared responsibility model and Armor Anywhere can get you there; we work as partners with the large cloud providers. The following datasheets detail the nuances of meeting each platform’s (and your) cybersecurity needs. Wait, What Is A Platform? Tools and Technology—dynamic threat blocking (DTB), our IP reputation management service (IPRM), including blacklists and whitelists; log management; vulnerability scanning; malware detection and blocking; intrusion detection and prevention services (IDS/IPS)—both NIDS (network layer) and HIDS (host layer); etc. Now that you know a little bit more about the meaning of platform in a tech context, we’d like to give you a visual description to help you understand exactly how all those things tie together to protect your sensitive data and workloads—whether on-premise or in any form of cloud architecture. The graphic below shows how the Armor platform works. You can also visit the Spartan page for more detailed information on how each component works together to provide 24/7/365 protection for your workloads. 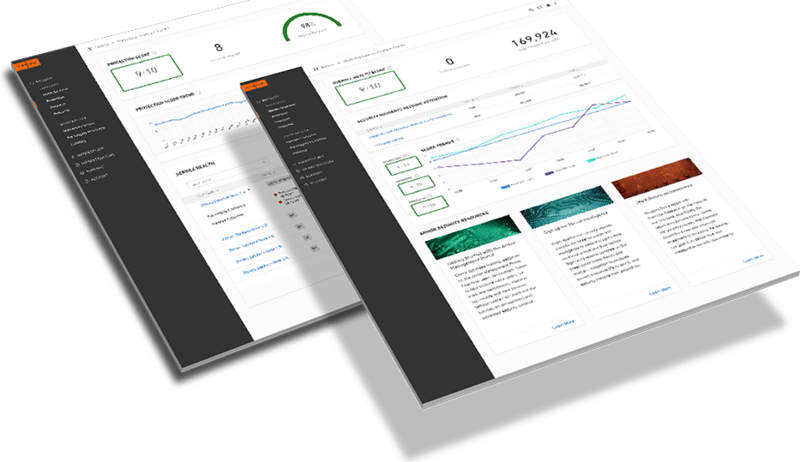 The Armor Management Portal (AMP) provides you with a single-pane-of-glass visibility into your security program providing real-time visibility and management of your security controls. Integrated within AMP, the Security Analytics dashboard delivers real-time visibility powered by advanced correlation and analytics to help you make smarter decisions. Armor conducted a honeypot experiment to observe what the threat landscape can be like for small and midsized businesses. Learn more about our findings in our Honeypot report. Armor Anywhere allows you to instantly defend your VMs with the top Armor security technology and controls. Public cloud providers like Amazon Web Services leave most of the data security to the customer. Secure your vulnerabilities with tips from our webinar.